If you know where in the chain you'd want to insert an effect, it shouldn't be all that tough, should it? Just throw in a couple switched jacks for send/return? ahhhh I suppose thats true! A simple post-dirt effects loop would do the trick. You're either gonna want to add something before the dirt, in between the dirt and the modulation, or after the modulation. So in that case you could really just do one following the fuzz/boost. awesome! A bank of dip switches could decide if you want to stay connected internally, or go to external jacks. 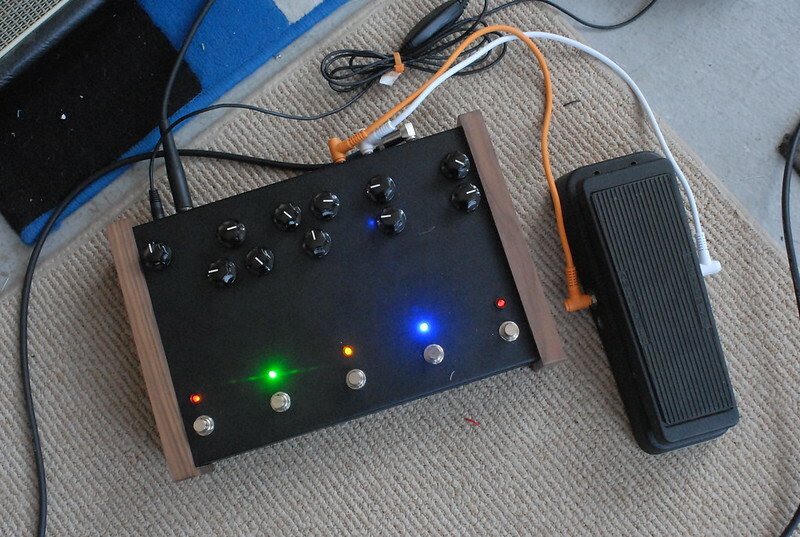 OR maybe just an extra stompswitch to turn on the external loop for off board pedals... 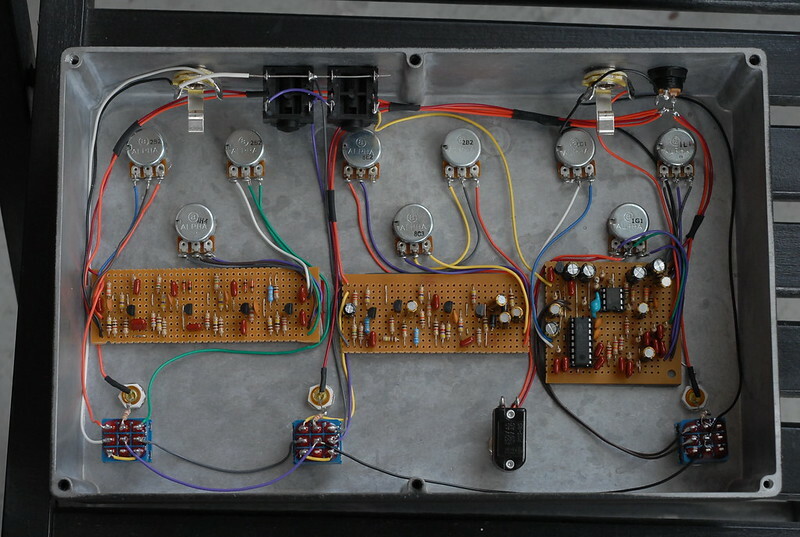 I do agree with the earlier post, if you keep each effect on its own board, you can rewire the order of the pedals inside without physically moving your pots and stomps around... as far as overdrive before or after the distortion you could as easily switch your dist diodes in and out with another switch, effectively turning the dist into an overdrive. I've been thinking along similar lines, dis/drive then modulation then echo, but the external loop idea...yeah...after the modulation. Dr Tony Balls wrote: ahhhh I suppose thats true! A simple post-dirt effects loop would do the trick. You're either gonna want to add something before the dirt, in between the dirt and the modulation, or after the modulation. So in that case you could really just do one following the fuzz/boost. awesome! That's the way to go I would think. I have a Boss be-5m and the idea here is almost the exact same. the boss can be programed but I always put it in manual mode. I would prefer to own the be-5 (no M) because of the simplicity actualy. I would not bother making the loop to begin with. I never use the loop on my be-5m. But that's just my way of using it. Others do other things. And otters do otter-things I suppose. reneshelle wrote: And otters do otter-things I suppose. THANKS for your help and ideas, everyone!!! Everything came out great, and as usual, I got so excited with it that I forgot to take gut shots before I delivered it. The single effects loop after the dirt was totally the right way to go! Simple, yet it allowed for function where you needed it. very smart looking, well done! Hides-His-Eyes wrote: very smart looking, well done! Very nice. I've built a few simple multi-effects, but never this involved. The effects loop is a great idea! Hell, I'd just love to get my hands on a bunch of those enclosures! Nice job. Turned out very nice. Nothing like a usefull piece of gear! Hope your friend loves it! p_wats wrote: Hell, I'd just love to get my hands on a bunch of those enclosures! Nice job. The enclosures arent hard to get ahold of, but they arent cheap! You always can put some switched jacks where the wha is supposed to be inserted. If you don't plug anything, the signal just flows. Oh, wait...2011?... Dammit, you've already solved, right? 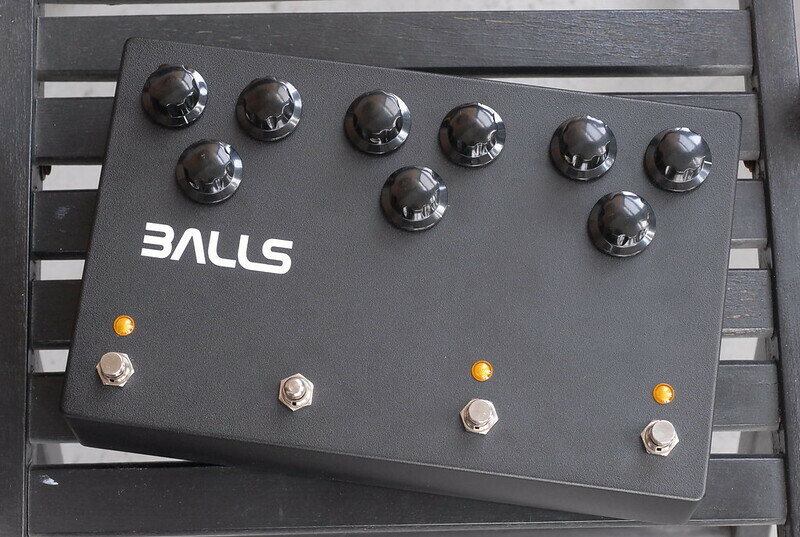 Try a modular approach- like a old Moog Synthesizer. remove, change order, excempt, insert, bus out, etc at will. You are replying to a thread that is 5 years old. maybe you will maybe you wont have your advice taken. Jan1966 wrote: You are replying to a thread that is 5 years old. maybe you will maybe you wont have your advice taken. just buy a guitar multi effects..you can swap the effects and it has loop settings..
wish the pics weren't gone. I'm curious what it looked like. 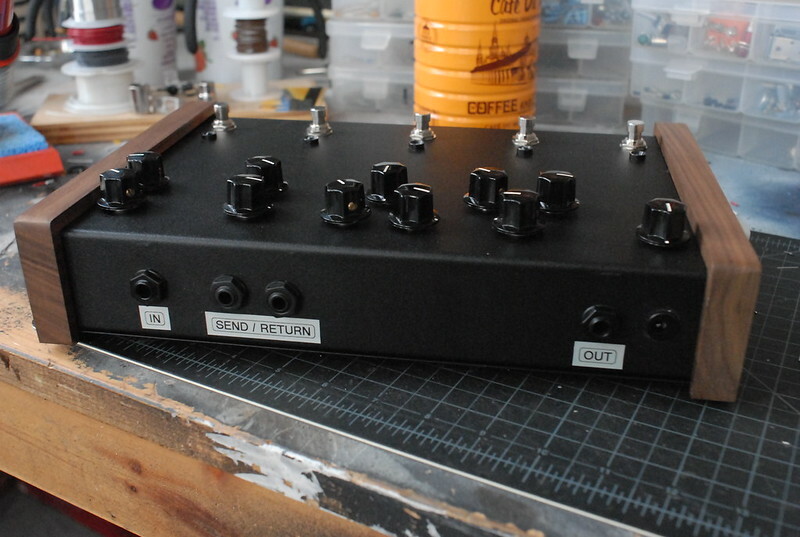 Still haven't done the multieffect box I've wanted to do for years. Haven't been gigging playing guitar in at least the same amount of time so it doesn't seem like a good use of my time. Still want to do it sometime, though, just for kicks. And while looking for those pics I found this one I did sometime later for someone else. From R-L thats a muff variant, an octaver, and a delay with momentary slam switch.